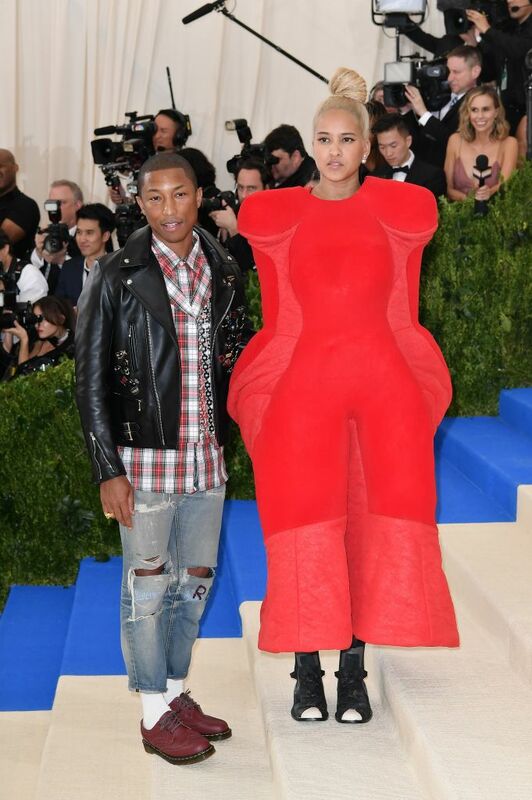 If there’s anyone who got the memo on last night’s Met Gala theme, it’s Helen Lasichanh, Pharrell’s wife. The statuesque model donned a bold red jumpsuit by Comme des Garçons, the label founded by designer Rei Kawakubo in 1969; Comme and Kawakubo were the night’s honorees, which means that wearing something by — or inspired by — the designer to the event is implied. And Lasichanh? She nailed it. The large, plush jumpsuit pinned Lasichanh’s arms to her sides, though the “arms” of the jumpsuit are sewn to make it seem as if the wearer’s hands are permanently stuffed in her pockets. The abstract, avant-garde piece features many of Kawakubo’s design hallmarks, including oversized shoulders and a robust silhouette. Pairing the piece with black-and-white boots and a simple top knot, Lasichanh let the jumpsuit shine. And even though she couldn’t lift her arms to hug her boo, the two were still adorable. And oh yeah, did we mention Lasichanh gave birth to triplets just five months ago? Yeah. That’s a true fact. And here she is absolutely owning the Met Gala. If we could hive-five her right now, girl, you better believe we would. 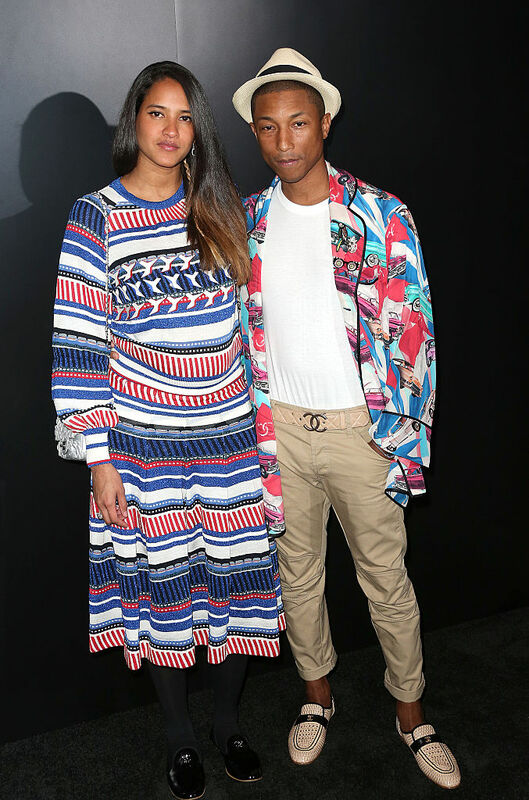 The always-private pair, who are also parents to 8-year-old son Rocket Ayer Williams, didn’t reveal that the “baby” on the way was actually triplets until the trio arrived in January, with a rep for the singer telling People, “Pharrell, Helen, and Rocket Williams have welcomed triplets. The family is happy and healthy!” So far, that’s all we know about the little ones. We’re bowing down to you, Helen! You ruled the Met Gala last night.